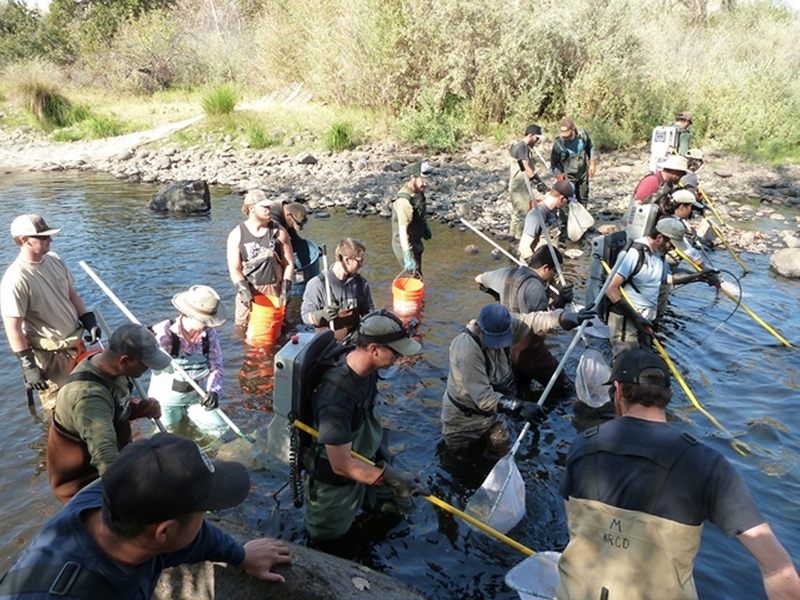 Electroshocking that is… The health of the fisheries below Pine Flat Dam is monitored by biologists. One of the fish population monitoring activities includes electroshocking, catching, counting, catching, counting, weighing and measuring them in the month of November. It’s actually a lot of fun! See this page for more information about the program.